Most of the people have forgotten to use screensavers on PCs, but some who want aesthetically pleasing and unique experience, can’t stop using screensavers. Electric Sheep is one of the best screensaver software used by thousands of people all over the world. It is free, open source tool which installs and uninstalls without issues. Electric Sheep is a joint abstract artwork founded by Scott Draves in 1999. The main intention is to recreate the biological phenomena of evolution and reproduction through mathematics. It is a form of artificial life that is made up of man and machine, a cyborg mind with 450,000 computers and people participated all over the internet. The participating computers worked together to form a supercomputer that renders animations called “sheep”, that is visible to everyone. The human participants voted for their favorite animations in the flock. The “sheep” are developed such that they follow specific mathematical instructions called “Draves’ Flame algorithm”, to render its own piece of the larger work. The images are sent back to a main server which are converted into animations and are sent back to the viewers. When you activate Electric Sheep, a sheep gets alive and for every 15 minutes a new sheep is born and distributed to all clients for display. 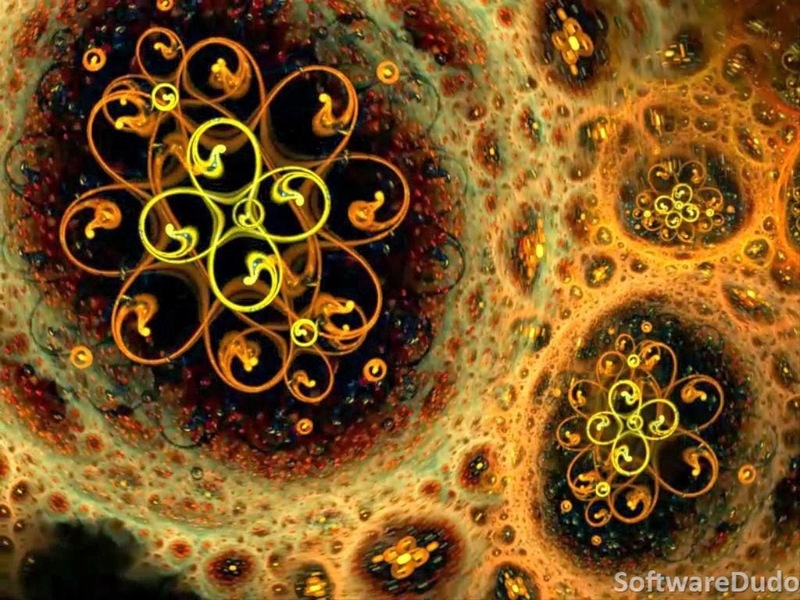 Each sheep is an animated fractal flame. The duration of each sheep is 4 seconds. The sheep’s shape, motions, and color are specified by a genetic code, a long string of numbers. Users can vote for the active sheep and the one which gets more votes will live longer and more likely to reproduce. Each sheep is downloaded and displayed within a minute. Electric Sheep’s new version is available for download which supports Mac OS X, Linux, iPad and Android. This program is recommended only if you have a high-bandwidth, always-on connection to the internet such as DSL or cable modem.